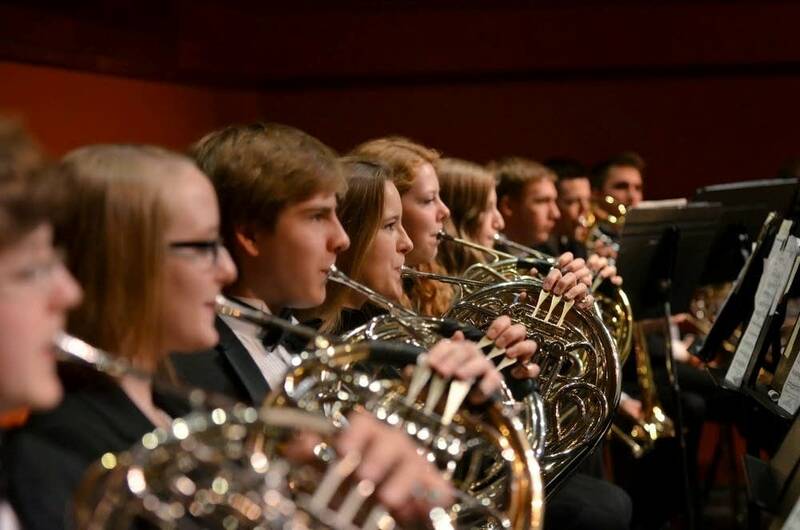 Today's audio comes from the 2013-14 Minnesota Youth Symphonies season, performed at Benson Great Hall, Bethel University. Since 1972, Minnesota Youth Symphonies (MYS), has been fostering young musicians interested in conservatory-style orchestral instruction. Led by co-artistic directors Manny and Claudette Laureano since 1988, the organization has seen many artistic triumphs and honors since its inception, and the competition for landing a spot in an ensemble continues to grow. All students must go through a rigorous audition process every summer, and just because a student has been a member of an MYS orchestra previously is no guarantee of re-admittance. The four orchestras  Symphony, Repertory, Philharmonic, and Strings  rehearse most Saturdays at Highland Park High and Middle Schools throughout the academic year and perform concerts in the fall, winter, and spring. The Symphony Orchestra (the collegiate-level ensemble) in particular has had its fair share of exciting opportunities. Symphony was the first orchestra to ever perform for the Super Bowl when it was held in Minneapolis in 1992. 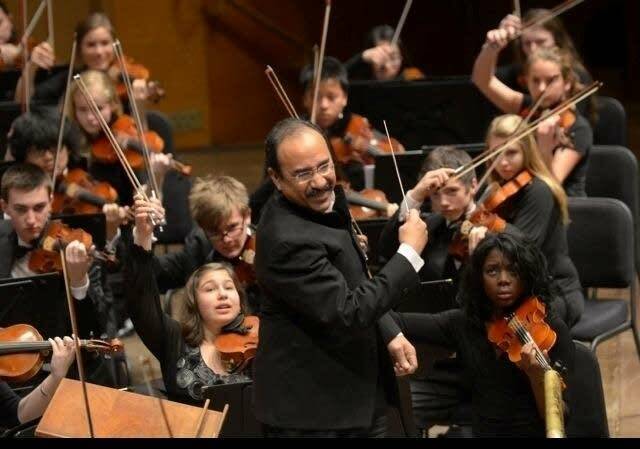 In 2000, it was one of five youth orchestras from across the United States to participate in the National Youth Orchestra Festival in Sarasota, Fla. Notable professionals as Jorja Fleezanis  former concertmaster of the Minnesota Orchestra  and former Tonight Show bandleader, Doc Severinsen, have performed with the orchestra. Last season, Osmo Vänskäa guest-conducted the Symphony and Repertory orchestras in their last rehearsal prior to the spring concert  certainly a highlight of the season for both orchestras! These 100-piece ensembles rehearse for three hours on Saturdays, spending time in sectionals and sight-reading as well as working on music for the upcoming concert. The list of past literature for both Repertory and Symphony is impressively advanced with the former having performed Wagner's Prelude to Die Meistersing von Nürnburg , and the Brahms Academic Festival Overture, and the latter having performed Stravinsky's The Rite of Spring and Holst's The Planets (which included a chorus of MYS parents and community members for the "Neptune" movement). 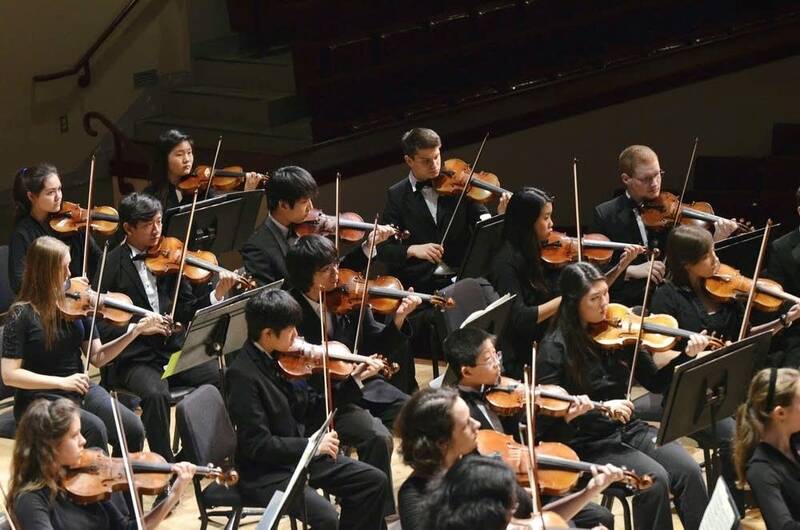 Every fall, Symphony also has a Symphony Solo Competition which provides an opportunity for members of that orchestra to compete for a chance to perform a concerto movement at the spring concert. Last year's winner was violinist Joseph Peterson, who performed the first movement from Brahms's Violin Concerto in D Major. Click the link at the right to hear this piece. The String and Philharmonic orchestras are no less impressive, performing classic and beloved literature that fits their intermediate and intermediate-advanced level of playing. Click the links at the right to hear the String Orchestra playing the Theme from Schindler's List and the Philharmonic Orchestra playing Bizet's Carmen Suite No. 1. MYS gives back to the Twin Cities community of aspiring musicians in many significant ways beyond their annual concerts. Last May, El Sistema Minnesota, a program that offers free music instruction and instruments to students at Nellie Stone Johnson school in Minneapolis, was the beneficiary of a performance by the Symphony Orchestra featuring Cuban classical and jazz pianist Nachito Herrera, in addition to students from El Sistema. Over $4,000 was raised for El Sistema. 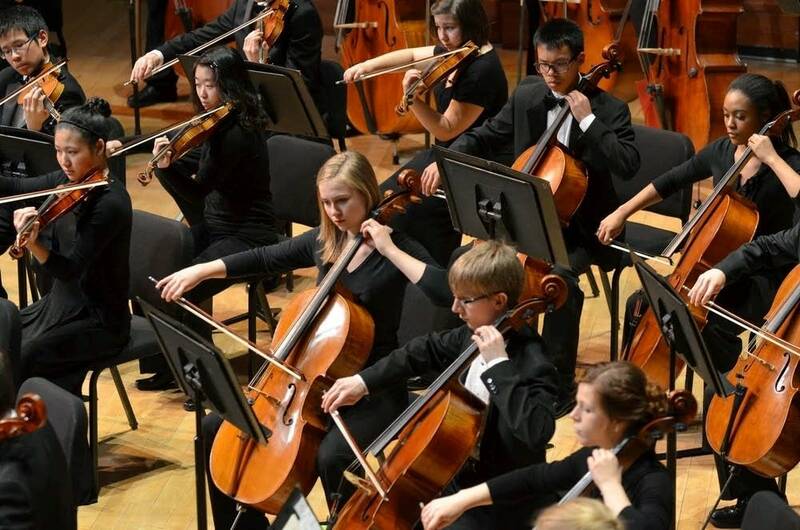 This year, MYS hopes to repeat that success with another benefit concert at North High School in May, this time featuring the String Orchestra with the El Sistema students. MYS has another annual community event called Music and Melody Makers, which is designed to introduce the instruments of the orchestra. It is free of charge and open to children ages 3-14. Last year, the attendees watched a Repertory rehearsal which included instrument demonstrations by the musicians. Afterward, the kids had the opportunity to try out the instruments themselves. In addition to these special events, the MYS offers semi-private string lessons and instruments for 3rd-5th graders at Folwell Performing Arts Magnet in Minneapolis. Established in 1999, the String Studio program has about 40 students who are instructed by retired school music teacher, Susan Scott. These lessons allow the students to both progress faster as individual musicians, and to play better in their school orchestra. The String Studio students also visit an MYS rehearsal and perform at one of the MYS concerts each season, giving them an opportunity to perform at a professional concert venue with their peers. The positive effects of this string program have manifested in increased school attendance, and more articulate class participation from the participants. These students have found that their self esteem has increased as they have begun to understand that achievement comes from working hard at something. Discipline in music study and academic achievement go hand in hand for MYS students as well. Recently, a former MYS student credited being in MYS for his success in science. The practice habits he developed from being in orchestra, like working through a passage on his violin repetitively until he could play it well, translated into being able to focus for hours on problem-solving in science class. The development of the cognitive skills of problem solving and focusing on outcomes whilst working together as a music ensemble proves invaluable in the "real world" and gives students a sense of purpose and belonging. Executive Director Vicki Krueger says, "Being with a group of people who share a common passion and the desire to achieve artistic success also makes for great team work. I often hear from our students that Saturday is their favorite day of the week, and it is where they feel they really fit in and have a voice." Future events: MYS has a concert at Northrup Auditorium on the University of Minnesota campus on Sunday, November 9 at 2:00 p.m. The program includes The Sorcerer's Apprentice, Swan Lake, Khachaturian's Masquerade Waltz, and music from Disney's "Frozen". Follow this link for more information.